Ogun State Area command of the Nigeria Customs Service seized 67 used vehicles popularly known as Tokunbo and 1,065 bags of foreign rice smuggled into the country through various illegal routes at the Idiroko border axis in November this year. The Area Comptroller, Ogun State, Michael Agbara, disclosed this on Tuesday while briefing journalists about the activities of the command. Agbara who said the command had stepped up its anti-smuggling activities given the Yuletide period, added that 119 kegs of vegetable oil, 171 pairs of used foot wears, 15 bales of secondhand clothing, 30 cartons of frozen poultry products, were equally seized within the period under review. Agbara said the whole seizures had a duty payable value of N395,118,058. He noted that the command was determined to stem smuggling, most especially the smuggling of foreign rice, in order to sustain the tempo of aiding Federal Government’s policy on agricultural development to boost local production of rice. Agbara also revealed that between January and November this year, a total of 44,615 bags of foreign rice were seized, which he said more than double the seizure for the whole of 2017 which stood at 21,789 bags. The Area Comptroller explained further that there were over 100 illegal routes (land and creeks), in the state through which the smugglers bring in contraband into the country. He, however, warned smugglers to steer clear of the state, vowing that the command would continue to hunt them to wherever they had their hideouts. 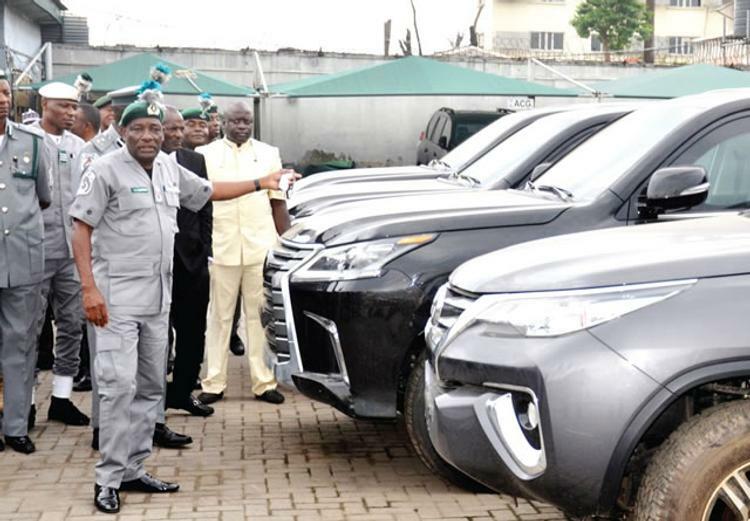 He said the command had taken delivery of additional four patrol vehicles to complement the existing ones.